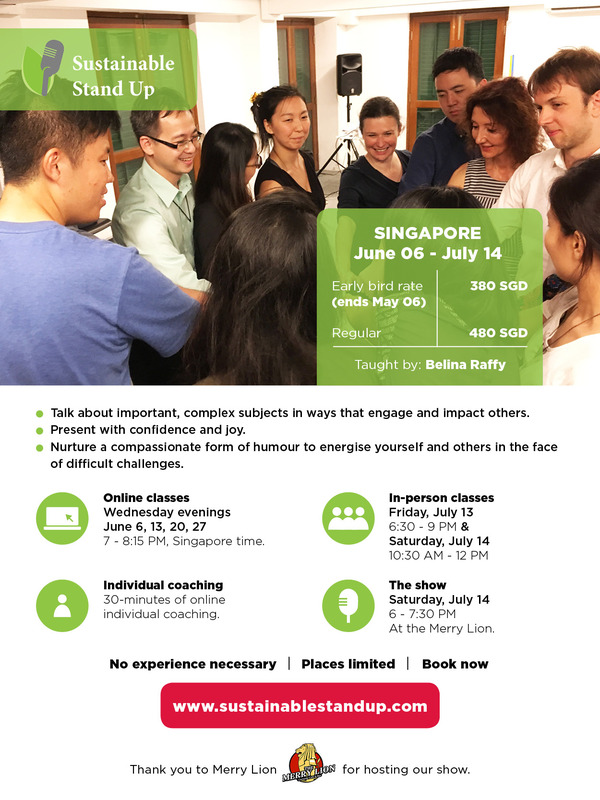 Belina Raffy is back, this time with her signature course Sustainable Standup: Stand up for things that matter. Change agents, sustainability & CSR professionals, humanitarian workers, and anyone else trying to make a positive difference in the world. Performers will need to get there earlier. The show will be hosted by Belina Raffy. Limited slots available. Book now. Visit www.sustainablestandup.com for details and testimonials about the course.